The Abridged: "Mumbai is a city, Bombay is an emotion" or so the saying goes, and no hotel encapsulates the "Maximum City" as Abode does. A locale abundant with business hotels, this century-old 20-room property is a boutique stay in its truest sense. Steps from the Gateway of India, Colaba Causeway, the infamous Leopold's Café, you couldn't ask for a more central stay. "If you can keep your wits about you, while others are losing theirs, the world is yours", or so the kitsch tube light quote reminds visitors at Bombay's number one boutique hotel. 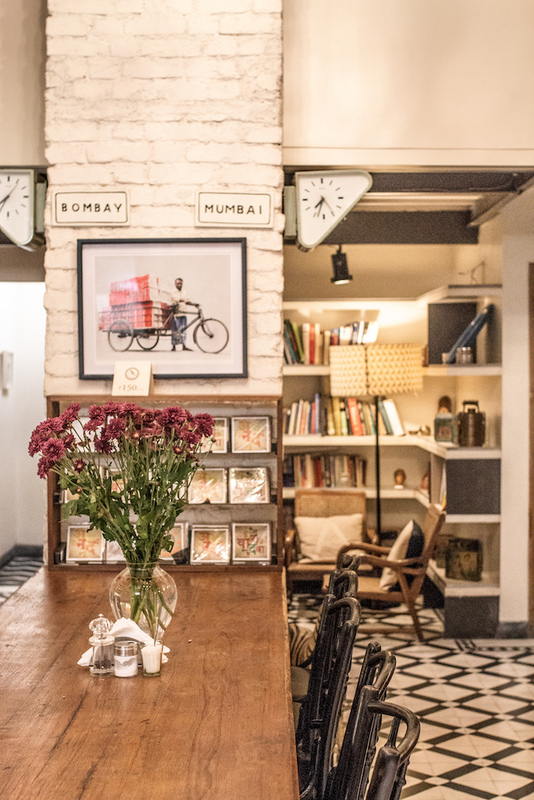 A reference to Rudyard Kipling's timeless poem, "If", and a Mumbai mantra if ever there were one, Abode offers just that: a sanctuary amidst the madness. Co-founders Abedin Sham and Lizzie Chapman, must have uttered this affirmation many-a-time to, during the years spent turning the family owned hotel into the hottest ticket in Colaba (you'll need to book months in advance to get a room). "We wanted a place for your friends to stay that's not the Taj", explains Abedin. You'd think in a city as cosmopolitan as Mumbai would be brimming with boutique options but it isn't so. 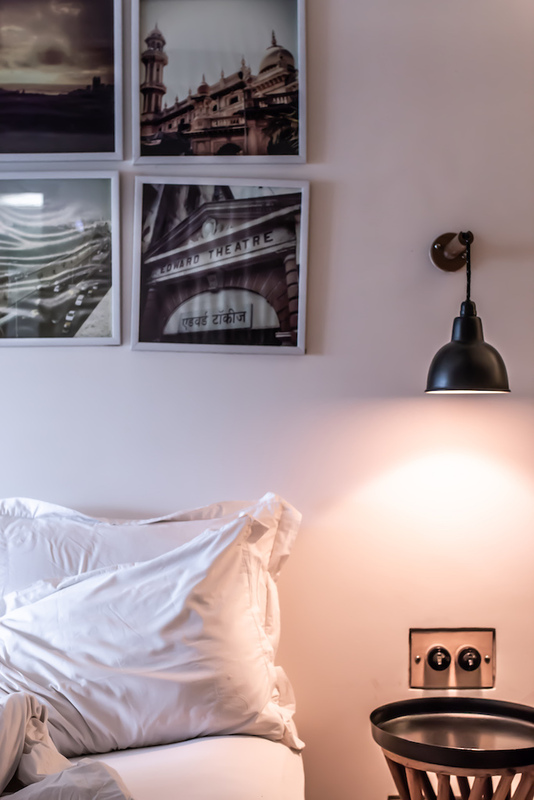 Spend the night at any five-star chain you like, for the modern-day vagabond that values personable service over butler service, there's nowhere else like Abode. Apparently, the apple does not fall far from the tree in the Sham family. A restoration project if ever there were one, Abedin took this family owned hotel and made it his own. His father, a successful antiques dealer's, legacy shines throughout. That "old is the new, new" trend abounds. Nothing is bought, everything is salvaged. Furnishings made from materials collected in India's famous ship breaking yards, reupholstered sofas found on the side of the road are juxtaposed with 100-year-old Bharat tiles and a chandelier sourced from a castle in Belgium, by way of Rajasthan. Every piece has a story to tell. Inside, the rooms are bijou (in keeping with Mumbai apartment sizes! ), the best have claw-foot bathtubs, with views of the bustle below, and the most economical include shared shower facilities, making Abode an affordable option for solo travellers. For a hotel of this price, the attention to detail is astounding. Tailor-made tours of Mumbai, yoga mats in your room on request, earplugs that quote Gandhi? The list is endless. Breakfast is served until a very civilised 12pm to the tune of fresh coffee, masala chai, eggs any way you like, cereals, fresh fruit, and preserves. Mumbaiker favourites can be ordered throughout the day, so if you've yet to try Vada Pav here would be a good place to start! The team also include a helpful map of local favourites, many of which are in walking distance, whilst the little café below, Le15 Café, serves arguably the best cupcakes in town. Whatever reasonable request a guest might have, they've probably thought of it. No, there's no gym on site, but there's one round the corner guests can use for a small fee. There's a spa, small but just fine for a massage, which is serviced by trainees from The Victoria Medical School, in Therapeutic Massage Skills. What the staff lack in numbers, they make up for in enthusiasm. Need to get a parcel couriered? Not a problem. Having trouble directing your taxi? Just pass over the phone. Yes the rooms are small, yes some of the amenities are limited, but this is not what you pay for at Abode. The price (a very reasonable one at that) is all in the experience. An authentic "Bombay" stay. The perfect guest: Modern-day vagabond in search of a stay with character. Best time to visit: Anytime. Mumbai never stops, but the winter months, between November and February provide the best weather. Wi-Fi: Yes. Pet Friendly: No. Room Service: Yes. Rates: From £50 per room per night. Inc. Breakfast, Exc. Taxes.